In the early 1980’s there were seven states: Georgia, North Carolina, South Carolina, Alabama, Tennessee, Mississippi, and Louisana that came under one chapter-Dixieland. In 1985 discussions began that the chapter was spread over so many states and perhaps the eastern states should form a new chapter. During a meetng in Asheville, NC it was formally voted to pull out Georgia, North Carolina and South Carolina and form the Blue Ridge Chapter. 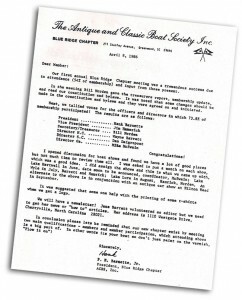 Blue Ridge Chapter organizers worked to bring together their first annual meeting (see insert). 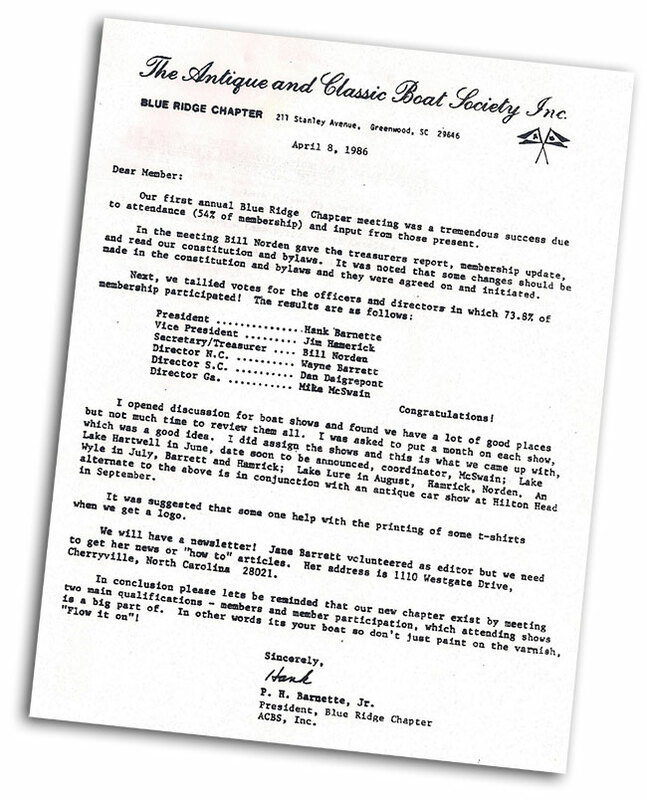 At this meeting, on April 8, 1986 Blue Ridge Chapter boat shows began to mark the calendar and a decision to publish a newsletter was announced. Today, we thank these gentlemen for the foresight and vision for the Blue Ridge Chapter.